Insurance for cars, trucks, boats and more! Mosaic Insurance can insure your Motorcycle, Classic Car, Motor Home & RV, Boat & Jet Ski, and ATV too! Contact us for more information today! Arizona – How much auto insurance is right for you? Based in Prescott Valley, our team understands the auto insurance needs of our customers in the Tri-City area and surrounding communities. Every person is unique – talk to us today to find out how to get the best price and value on auto insurance for you. Need an auto insurance quote? Get it today! Time to hit the road and cruise with that classic car! Does Comprehensive Auto Insurance Cover the Loss of Stolen Tools? When you need to have your ATV insured. Winter travel and driving tips. 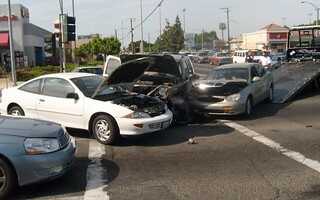 What Happens If You're Involved in an Accident Out-of-Town?